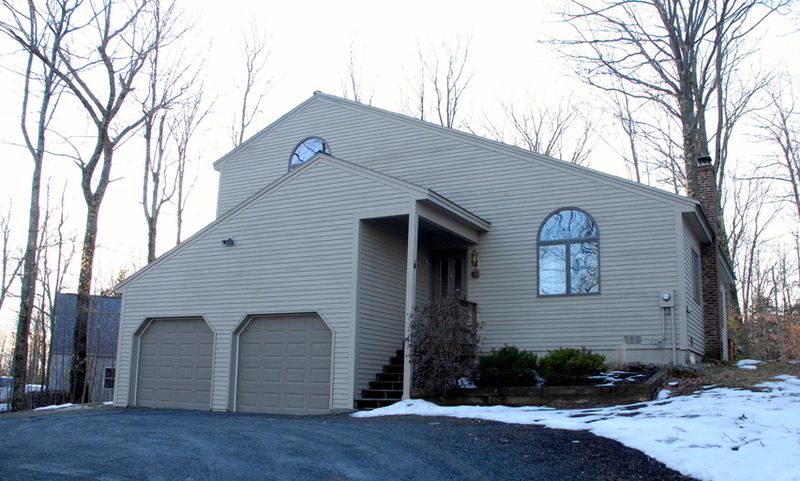 Contemporary home sited perfectly on a double lot giving you plenty of privacy and seasonal views to the east. This Eastman home will appeal to the vacation buyer or the full time family. Open spaces and large rooms, updates throughout, a kid friendly deck and back yard all accessed via a quiet, cul de sac street. Bathrooms have a modern feel and the kitchen, with it’s upgrades, is big enough for the entire family. 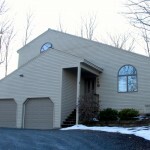 The attached direct entry garage is oversized and has access to a huge storage area. Relaxing in the 4 season sunroom is a wonderful way to spend some time, or pull out an extra bed for the stay over guests. All other bedrooms are on one floor. Community water and sewer add to the worry free living. Efficiently heat with wood or oil, it’s your choice. Recent exterior paint and new garage doors make this home ready to go, just move right in.